In recent years of my public speaking experience, I have learnt many things that make a keynote presentation a Wow presentation. From the careful use of words to the control over tone, a great number of things play its part in the presentation. But what about the technology part? Now, as Chris Anderson has said it. 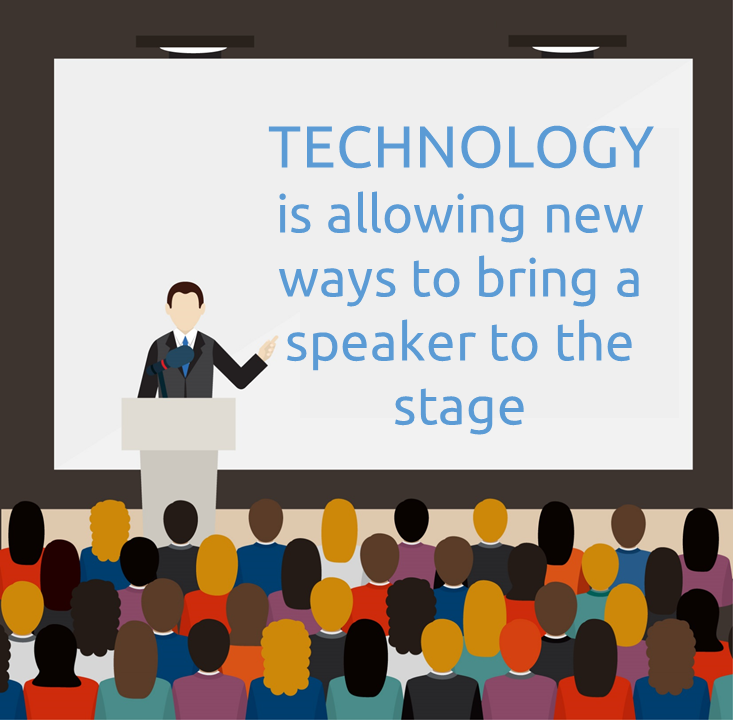 Public speakers must introduce some technology in their lives to improve their flow and efficiency and let the technology aids you properly. There are scores of cool presentation gadgets available online but we have chosen 5 best presentation gadgets among them that are extraordinary and I’m sure you are not familiar with most of them. Presentation gadgets listed below are based on their usefulness, improving the efficiency of your presentation and feedback from the users about them. Most of these products can be quite new for you and their use can be challenging but little experience with them can help you to use them hassle-free during your talk. A Thalmic Lab’s production, Myo Armband is a gesture control armband works by measuring the electrical signals produced by the movement of the muscles. This Armband connects with any digital device using the Bluetooth. Myo is a lightweight elastic armband consisting of a number of metal contacts that measure electrical activity in your forearm muscle to transmit gestures that you make with your hand to a connected device. This amazing wearable device can be used to control the PowerPoint Presentations as well. Using this device, you don’t have to worry about forward and reversing your slides. Your whole focus will be on your audience which is something of primary importance to public speakers. You can perform the following functions during your presentation via Myo Armband. Configuring the Myo is also not a very difficult task. 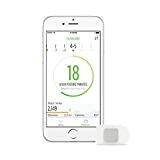 You just have to connect your device to your computer via Bluetooth and Sync your hand movements with the device. Initially, the error will be a little higher but with practice and proper syncing of movements, it will reduce to the minimum. Slouching (Chest back and belly out, this is how you do it) is a sin during talk or presentation. This demonstrates your laziness and slothfulness during your own talk. Now, if the presenter looks slouchy in his/her talk then surely presenters will also suffer from lack of interest. Lumbo Lift’s Posture Coach is on the best posture tracking devices available online that will help you to maintain your posture during your talk. Installation of this device is also very simple. You can attach this device to your body and selects either you want to be perfectly straight or little slouchy during your talk. Everytime you slouch, this device will start making the vibrations as a signal to make your posture right. This device measures the alignment of your body and vibrates every time when its algorithm says so. The device is supposed to rest about 1 inch below your collarbone, with the tracker against your skin or an undershirt and the magnet plate on the other side. You can keep it hidden under your clothes, or keep it visible as a fashion accessory; just make sure it can rest close to your body. Assume a situation in which your audiences or students don’t have to worry about taking notes during your lecture. All they have to do is just to listen you talking and understanding what you are saying. There focus will be on you rather than their own pencils and notebooks. I always wanted a stable portable projector with me so whenever I go to small schools in remote areas or even in daily University lectures, I don’t have to worry about the projector. My requirements were a handheld device with quality sound as well. Lenovo’s Yoga Tablet Portable Projector is what I needed. Android Operating System powered by Intel Atom possessor with 2GB RAM and 32GB Storage is lying inside this tablet. 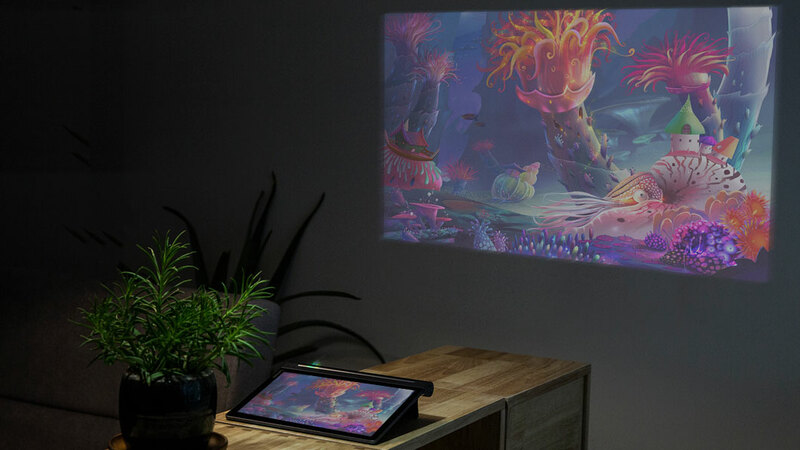 For Projection of content, there is an integrated projector that turns any room into your very own theatre. You can use the rotatable hinge and super bright 50 lumen output to project an image of up to 70” (178cm) on any wall or ceiling. Yoga Tab 3 Pro delivers rich theatre sound that you will not experience on any other tablet. The four big integrated front-facing JBL speakers and powerfully immersive Dolby Atmos® sound provide loud, clear, and dynamic audio – even without headphones. The awkwardness of remote presentations is the inability of the presentee to select the visuals as per interest. If you can give a way to your audience to see around the presentation room as per their interest, It can help to make them feel less boring. This can also help to keep them engaged by assuring their interaction with other people sitting in the same room as you. The Ricoh Theta S is the third generation of Ricoh’s 360-degree shooting camera. This is one of the first affordable 360-degree cameras you can actually buy, and the sub-£300 price is particularly tempting. The magic sauce of the Theta S is that it has two lenses and two sensors pointing in opposite directions, to capture the full 360 degrees. Best way to buy any product is to identify your needs first. Same goes for the Presentation Gadgets, as a Public speaker you need to first identify your needs and then look for available options. Following points will be helpful in buying the right gadget for you. Know your audience: Either you address a small number of the audience or larger. Venue: University auditoriums require the different set of gadgets for presentation and small schools in the remote areas require different. What product did you like the most? What are things you want us to include in the future reviews? Please share your feedback with us.